FRANCE: The French government appears to be having second thoughts about the premium purchase prices granted to the six offshore projects awarded so far. According to French media, members of the prime minister's staff indicated at a marine-economy conference at Le Havre in November that the government wants to ensure the consortiums awarded the projects do not make "excessive profits". One possible measure would be to put a ceiling on the rate of return. The six projects are Courseulles-sur-Mer, St-Nazaire and Fecamp, awarded to a consortium led by EDF Energies Nouvelles in 2012; St-Brieuc, assigned to Iberdrola and Eole RES, also in 2012; and Dieppe-Le Treport and Les Iles d'Yeu et Noirmoutier, awarded to an Engie-led consortium in 2014. The total capacity is just under 3GW. The groups were awarded tariffs of around €200/MWh, including grid connection, guaranteed for 20 years. At current estimates, the first turbines are unlikely to be turning before 2022. Meanwhile, prices elsewhere in Europe have been tumbling, prompting the French government to rethink its strategy. However, "it is extremely important to keep in mind the specific context in France and the timing of the different tariffs", said Pierre Tardieu, WindEurope's chief policy officer. At the time the projects were awarded, such prices were the norm in Europe, he pointed out, although the French tariffs may be slightly higher. They include grid connections and an industrial component, whereby the manufacturers linked to the winning bids, Alstom (now part of GE), and Areva (now Adwen under Siemens Gamesa), committed to building local factories. The consortiums have to carry out all the derisking studies, secure permits and are faced with more complicated seabed conditions than in the Netherlands, for example. "The tariffs reflect this complexity," Tardieu noted. Equally important is the signal any changes sends to investors. "It is extremely important ... that the regulatory framework is clear, reliable and stable. The development of offshore wind is going to hinge on the reliability of that framework," Tardieu said. "These are the first projects, and there are inevitably supplementary costs in a new sector," added Marion Lettry, assistant executive commissioner of renewable-energy trade body SER. Nevertheless, she is optimistic that the government will not put the projects in jeopardy. "They will find a solution," she believes. 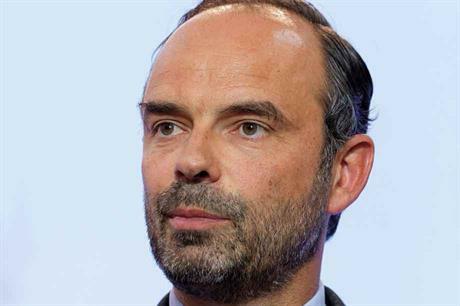 Also at Le Havre, the prime minister, Edouard Philippe, announced the launch next year of the environmental studies and a public debate for 500MW off the Ile d'Oleron. The project will be tendered under the new "competitive dialogue" procedures, aimed at cutting costs and speeding up deployment. The government carrying out site studies before the main tender is issued is part of the new system, along with preselected companies and joint ventures helping to clarify the project specifications. The government is looking for further ways to improve the permitting process. Philippe said he has asked energy minister Nicolas Hulot to carry out "a radical simplification of procedures". The results are expected in March. Philippe also announced that preliminary impact studies will be launched next year in preparation for the first tenders for commercial floating projects. Two potential zones have been identified off Brittany, while consultations are taking place to identify a suitable site in the Mediterranean, Lettry said.